Drupal is a robust CMS that empowers your web business so much so that you can directly relate to it. But are you still struggling to manage Drupal SEO and looking ways to grab organic eyeballs? Here i have listed all the ingredients to serve your users and make money outta your business! Search Engine Optimization (SEO) is a marketing discipline to get traffic from organic, natural or editorial search engine results. It is not just about getting higher rankings on search engines but also the sites that are people friendly. Stats show that 93% of online experiences begin with a search engine. Moreover, 75% users never scroll past the first search page. So, a better SEO is must for a website to draw more traffic. SEO depends on many factors like quality of content, site loading time, backlinks, responsive designs etc. When it comes to Drupal, it is considered as the most SEO friendly content management system. It comes with many built-in SEO features. Even, Drupal 8 themes are responsive by default so there is no need to dive-in code. There are some key factors that are responsible for better Drupal SEO results as follows. Drupal gives spectacular results when it comes to search engine optimization. But to implement easy SEO, there are some deciding key factors that affect the SEO results. 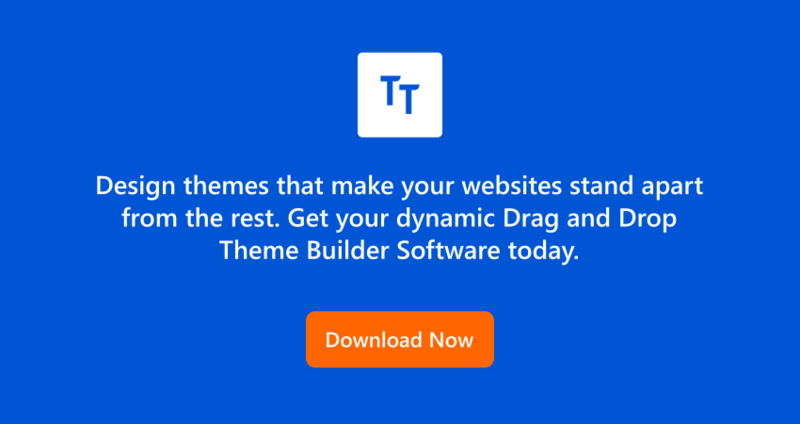 Here at Templatetoaster Drupal Theme Creator, Let us dive to know more about these. Keyword research is a must. The best way to boost your site rank is to use a keyword throughout the copy of your content, in URLs, meta tags, title tags, meta descriptions, internal links, and headers etc. Some high scalable keywords keep you competitive. You can use a keyword tool to find the specific terms that are being searched per month. Accordingly, you can decide keywords for your site content. The basic mantra when deciding a keyword is to – Be Natural! Make sure that the content you used for your site is original. A good quality content takes proper research and analysis. A standard good quality content binds the readers to stay with your site for a long time and raise the site rank over search engines. Google Analytics & Google Webmaster Tools are two great tools provided by Google and should integrate together for better results. Google Analytics is a web analytics tool that gives you visitor report, web traffic reports, details of keywords, content, conversions etc. Whereas the Google Webmaster Tools tell you that how Google sees your site. It gives you crawl errors (information about pages that Google is unable to track), search queries, links, blocked URLs, malware, HTML errors etc. so, these will help you to make decisions about what to do next. From SEO perspective, it’s good to have as many links as you can to your site. Try to have a good mix of links made with plain URLs, homepage URLs, anchor text etc. Make sure that links refer not only the home page but to other inner pages of your site too. The basic need is to continuously do it, maintain credibility, make it look natural and touch different parts of your site. Drupal offers several modules that a site should have. Drupal SEO modules are responsible for highly customized sites to increase optimization. Every Drupal SEO module provides different features. You will get details about the popular modules later in this article. Always try to change your website look after a regular time period. Newly added pages with new look give a better user experience. A better user experience means better Drupal SEO. Not only the new pages but the content should also be checked and updated regularly. Keep your site dynamic so that Google would crawl and see what’s going on. Don’t forget to check your competitors online and offline. Regularly see what activities they are doing to flourish your strengths and to eliminate your weaknesses. Monitor their ranks to see if they are raising then why is it so. This will help you a lot to formulate your future strategies. It’s highly recommended to see that these all keys will work together. You can’t afford to leave any of it if wants a better Drupal SEO. So, take account of all the factors to formulate new SEO strategies. Now, to implement all these key factors, you need effective Drupal SEO tools. And, the most important tool is Drupal SEO module. Many Drupal SEO modules are available to improve SEO for Drupal. These play important role in boosting your website in search engines. It is one of the most popular Drupal SEO modules. It creates self-explanatory URLs automatically. It generates Url based on the content of the site without any manual works. That way it saves a lot of your time. It has become the module that is employed by almost all the Drupal developers. It also generates the keywords that are mostly used in your content. Pathauto has different versions available for both Drupal 7 SEO and Drupal 8 SEO. Yoast SEO for Drupal allows you to pick a focus keyword for content analysis. It runs many rounds of check nearly 10 to provide you feedback on every point. Like the best place to insert a keyword, place of keyword over-stuffing, for on-page tactics etc. it optimizes your post title and meta description. Yoast SEO Drupal also provides you the functionality of snippet preview. It will let you know that how your page looks in Google and how it will bold your search in Google. In short, Drupal Yoast SEO gives you everything to control your listing in search engine. It works as a Drupal 7 SEO module. SEO checklist is a great Drupal SEO module. It’s a must-have in every Drupal website. It makes a functional to-do list for your modules and tasks. It gives your site a proper search engine optimization check. Drupal SEO Checklist makes date and time stamp for every task you completed & saved and proves best if you work on many websites. It does on-page SEO and breaks down the tasks into functional needs. It is best who don’t know about SEO logistics. Limitation: Lacks a good SEO strategy. Metatag supports a wide range of meta tags. Here meta tags refer to the tags associated with meta descriptions and meta keywords. From SEO Drupal point of view, they do not hold the same importance as in past. Though used to add keywords, browser titles, descriptions, and advanced search options for each page of your Drupal site. But, it still proves good for content on social media networks. It has many features like multilingual support, global settings to control meta tags on all pages, support for entity revisions and workflows, the default configuration for meta tags etc. Mobile and UI Adjustments submodule adds the MobileOptimized, HandheldFriendly, viewport, format-detection, apple-mobile-web-app-capable tags and much more. It is important to have a valid XML sitemap for every website SEO. it is an easy way to submit your site to search engines. It generates a multilingual sitemap for modules and custom links of a Drupal website. It gives you an opportunity to divide the sitemaps into categories if you are dealing with a large site. Even, you can specify the video and image sitemaps. The simple XML sitemap automatically creates a sitemap whenever you add new pages to your site. Further, it removes the non-index pages and PPC pages from the sitemap. It also makes sure that blocked pages will not be included in robot.txt. It eliminates the non-canonical pages from the sitemap. It serves as a Drupal 8 SEO Module. Now, you have all the key factors that decide Drupal SEO plus knowledge about Drupal SEO modules.And, here we provide you with some additional tips to improve it. Drupal 8 is the latest version of Drupal. It serves as one of the leading digital experience platforms of the world. It provides better content authoring, mobile responsiveness, better language support and much more. As you have gone through the list of Drupal SEO modules, let’s chalk out how to use these to get best results with Drupal 8. Download Drupal SEO Checklist module as it tells you what to do. 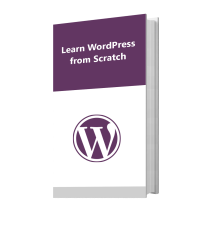 It gives you a complete list of best practices. It helps you to implement a trouble-free on-page SEO and fully optimized site by completing the to-do list. It has separate segments to address every functional need like content, title tags etc. It guides you to configure the settings perfectly by providing the links to modules and admin screen of your site. It also places a date and time stamp for every task to keep you updated. To get effective results, your URLs should be clean and content should be accurate. When the content is changed, you should maintain the link value. Drupal 8 cleans up the URLs by default but it can’t be set off. You can use the Redirect module to redirect from old URLs to new URLs when you move content. It helps to maintain your Google rank as it resolves URL when a user arrives.Instead of it, you can also use Pathauto module. It automatically generates URLs that are best for SEO. Meta Tags tell the Google, other search engines and social media sites about the content of each page of your website. It helps to improve SEO. If you don’t use it, the search engine will auto feed. You can use Metatag module to automatically create title tags and structured data for each page of your website. It will give rise to better Drupal SEO as less code and faster rendering of your site pages. Search engines help you to communicate with them and let them crawl you by providing tools and reports. Better communication, better traffic. The XML Sitemap module helps you to deposit a time stamp to search engines. It creates a formatted summary of web content as sitemap that is submitted to search engines. It will help SEO by informing the Google about all your web pages. Drupal Cron system cleans your site, update the content and sitemaps. So, XML Sitemap will stay up to date. Great SEO needs good speeds and secure sites. There are many intruders on the Internet that can infect your site. So, you need to protect your website. Speed also ensures the high rank. You should try to get a fast and secure site in your budget. You can download Google AMP module to speed up your website and make it mobile-responsive. You can also download other Drupal SEO modules like Google analytics module, Linkit module etc. as per your site requirements. This was all about improving Drupal 8 SEO. But the same thing can be applied to Drupal 7 or any other Drupal website to optimize it. Till now, you have got a thorough knowledge about deciding factors for better Drupal SEO, all the important SEO modules and how to use these modules for the betterment of your site SEO. But you might skip some of the points by the time. So, here is a quick SEO checklist to cross-check that you take all the measures to raise Drupal SEO. 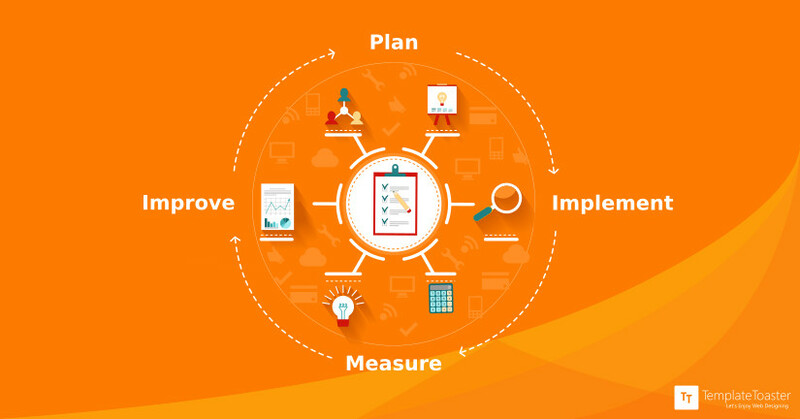 A worthy website planning involves adding and verifying Google Analytics. It is crucial for Drupal SEO. So, don’t forget to install Google Analytics. Manage the metadata of your website as Google values structured metadata. You can install Metatag Drupal module for updating meta tags. It is also important to update meta descriptions. Although it doesn’t affect your site rank, it is valuable as it displays in search result snippet. You can handle this with the same Metatag module. Primary headlines on your page are in H1. H1 acts as a valuable Drupal SEO content. So, don’t forget to optimize H1s. Always add Image Alt Tags as Google don’t see images, it reads Alt tags to know what the images are all about. Though these never appear on the frontend, never skip writing the image Alt tags. If you are optimizing your site & need to specify ALt tags in bulk, you can download EDUCO metadata module. Short and Sweet URLs are better for SEO. It’s easy to manage your URL structure in Drupal. As you can create a custom URL alias for each piece of content. You can manage by using Pathauto module. If you update URLs, it is necessary to manage Drupal URL redirects. You can make use of Redirect module for this to avoid 404 errors. There is no point in spending a lot of money on your website when it is not visible to most of the people. Drupal is a SEO-friendly content management system. Moreover, it provides you many SEO modules to enhance the traffic for your site. It prevents the content duplication, gives you meta tags and keywords for the content, sitemaps, human-friendly URLs to raise your search rankings. Different SEO modules facilitate you the different type of features. 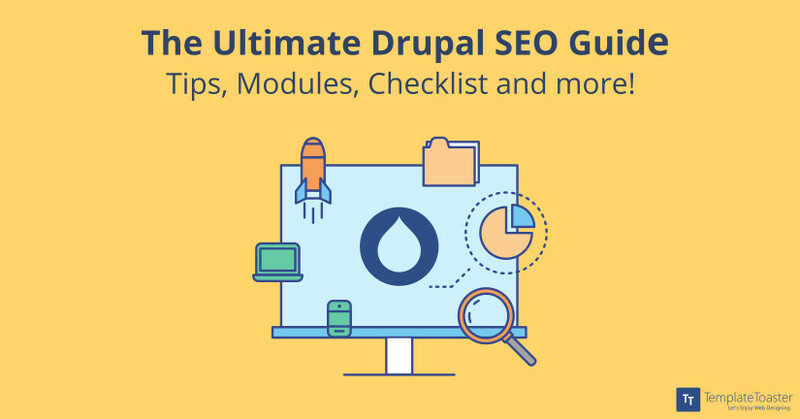 Now, it’s easy to decide the future strategies and modules to use as you have knowledge about all the key elements and modules important for Drupal SEO. It is equally important to have a unique design for a site along with the unique content for better SEO results. To create awesome designs, you can trust TemplateToaster web design software. It offers you various advanced features to design your website with an easy drag and drop interface. TemplateToaster website builder will give you desired results with least efforts and no coding.